Cattle Protection Laws: Cowing Down The Accused? 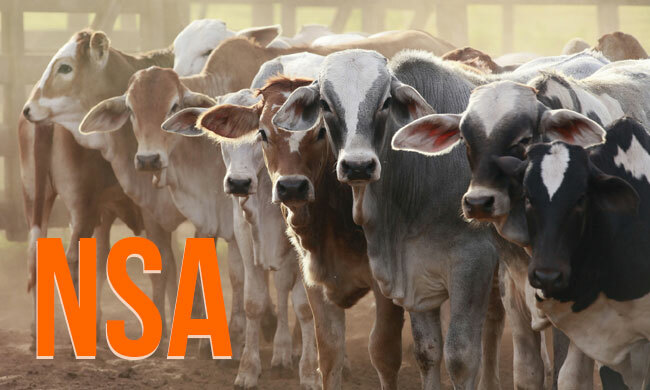 Cattle protection and animal husbandry on scientific lines form a crucial part of the smooth functioning and future progress of any economy, especially an agrarian economy. With this foresightedness, our forefathers very fittingly made a provision to promote animal husbandry on scientific lines (Article 48) in the constitution itself for the states to incorporate while formulating their policies. Over the years, this provision which exists as a directive principle of state policy under Part IV of the constitution assumed a more concrete shape in the form of individual anti-cow slaughter laws in most states. However, contrary to most expectations, with these new laws being brought to life, a new era of communal debates and lawlessness was unleashed. How is it that a law meant to benefit India and its agriculture began stemming contempt and became a conduit for cowing down the accused? The answer shall lie in the abuse of legal loopholes and a lack of institutional push towards allaying the fear of the masses. or the failure of legal machinery during Dadri Lynchings. Institutionally, this violation suffers a severer blow when new policies like the Union Cabinet's decision of a Rashtriya Kamdhenu Aayog and budgetary allocations like in the case of the state of UP to the tune of 600 crore for cow protection, fail to change the discourse from religion to scientific breeding targets. Hence, through the course of this article we touch upon the rationale behind these laws, the legal loopholes in implementation with prime focus on NSA, the institutional failures and the way forward. National Security Act: A tool of abuse? The NSA and several anti-terror laws provide wide range of discretion to detain the accused for upto a year along with impunity from action to the authorities. Notably, Section 3(2) of this Act enables the State Government to prevent a man from acting in a manner prejudicial to the security of the state, to maintenance of public order or to the maintenance of supplies and services essential to the community upon its satisfaction and make an order directing such a person to be detained if found necessary. Further, once a government passes an order to detain such person on grounds mentioned hereinbefore, the person shall be put under detention and the authority shall be immune for such action exercised in good faith (Section 16). where the Apex court quashed the authorities' order of detaining an individual under the MISA(now scrapped) and went on to hold that the impugned order was nothing but an act of colourable exercise of jurisdiction. , the apex court observed that it is the potentiality of the act to disturb the even tempo of the life of the community which makes it prejudicial to the maintenance of 'Public Order' no matter how reprehensible the act is. Mere apprehension may not suffice. Therefore, despite clear tests having been laid, why the authorities still continue to loosely interpret these phrases so as to consider an offence of the nature of 'illegal transport of cattle' sufficient to 'necessitate' the evocation of the NSA is a question one is compelled to ask. The entire law pertaining to cow slaughter, illegal transport ban finds its roots in the intent of ensuring good animal husbandry practices as mentioned above. Thus, in that light, testifying such acts as being communally colored and having a potential of enraging the public only reinforces the prevalent biases of the state and falls far from its objectives. In this light a mere apprehension that an act might not go well with the hypersensitivity of the masses clipping the wings of the accused involved in criminal prosecution makes up for a case of a manifest violation of the constitutional ethos. Despite a flurry of laws, policies and administrative boards in place, today, the scientific intent has taken a backseat and it is the theological dictat that is deciding the course of this debate. Even if these policies are implemented with the outlook of a systematic change, it is when narratives of 'Gomata' and its immense contribution to the Indic culture from the time of Lord Vishnu to the Mughals to the era of Mahatma Gandhi are used to sell these ideas, these non-secular elements and emotions end up spreading their roots. The earliest case of legitimizing a blanket ban on cow slaughter was that of Mohd Hanif Qureshi and ors v state of bihar when in 1958 the court upholding the anti-cow slaughter laws of states of Bihar, UP and MP stated that the country is in short supply of milch cattle, breeding bulls and working bullocks, and a total ban on the slaughter was essential to the national economy for the supply of milk, agricultural working power and manure. In this case, the court observed that the legislature is the best judge of what is good for the community in order to arrive at what shall account for reasonable restrictions in the imposition of such laws. Hence, first, two major questions should be raised: a) Are we still in shortage of such supply for the restriction to be called reasonable? b) Does the application of mind by legislature cease to exist upon formulation of a law or should it be a perpetual exercise? Next, a loose application of laws like the UAPA, NSA needs to be fixed at the earliest and these laws must be given a strict interpretation to do away with their inherent ambiguities. Whether public order should be considered equivalent to the class of war, national security is one argument that requires a close perusal. Further, clear guidelines for detention by the legislature or judiciary are a must. Last, we need to understand that our constitution in itself is a thriving document and each law needs a constant revisitation. Under most state laws illegal transport, slaughter has been made a non-bailable offence. What needs to be assessed is whether the stringency of punishment and procedure falls in line with the object sought to be achieved by these acts. one can't ignore the fact that large sections of the community deify the cow or surround it with a halo of religious veneration. But the act (here, U. P. Prevention of Cow Slaughter Act,1955) diligently ignores as is inevitable in a secular State the religious or sentimental aspect of the subject; it views it exclusively as an economic proposition.' It is this spirit of the law that one intends the lawmakers and the judiciary to uphold.